There are still many areas in The Legend of Zelda’s latest adventure Breath of the Wild, which have not yet been completely explored. The glitch was detected from a Youtuber with username “Mety333” while playing Breath of the Wild. Unreported areas were found by the user while exploring his way in the Zelda game. The news was broken by Ryan Craddock when he reported glitch found through the Youtube video. Mety333 was traveling within the Hyrule universe on a rather unlikely path with Link when he got to know about the undiscovered locations. The user was searching through the Master Trials DLC of the Nintendo exclusive game when the glitch was identified. These locations in Breath of the Wild have some intentionally hideous elements for obvious reasons. For instance, a sequence where water is being turned into boiling lava. This boiling setting would surely leave any player simmered if the lava is approached. Moreover, cubes of light were seen spinning all over the place in a setting resembling the Ghost Hunters. In addition to that, there also comes the edge of the game at a certain point in Breath of the Wild. However, flying off the scary drop might possibly not be the best idea. This glitch from Breath of the Wild looks as if the developers intended to keep a number of the Trial of the Sword challenge’s levels hidden in this area as a store. However, casually finding out these areas while playing The Legend of Zelda Breath of the Wild is capable of freaking some users out a little bit. Landing such content updates is probably what made the game wine the best game of the year’s award at DICE Awards 2018. 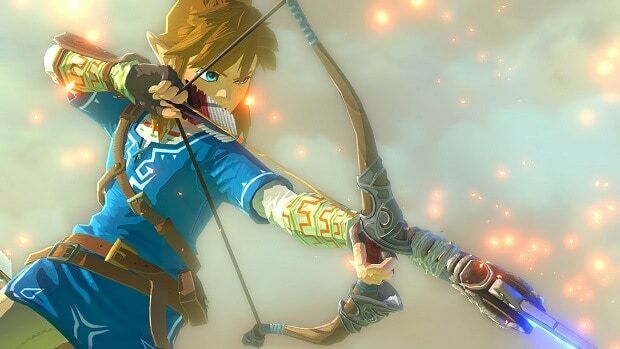 Probably a well-deserved award as the game became the second best selling Zelda game after selling millions of copies.